A new Friday night battleground is forming for local content as TVNZ announces a new lifestyle programme to go head-to-head with TV3’s Jono and Ben. 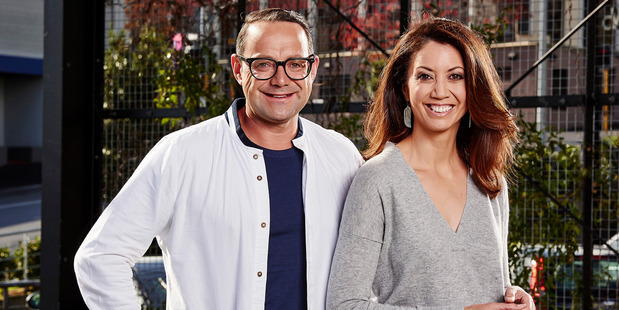 Kiwi Living will be hosted by Miriama Kamo and Michael Van de Elzen and aims to give viewers practical tips “to kick-start their weekends and try something new”. The magazine-style show will feature segments on food, travel, design, health and well-being, fashion and more, presented by various roving reporters, including Matt Gibb and Erin Simpson. The series will replace popular British property gurus Kirstie and Phil, who currently dominate the Friday night slot with Location, Location, Location, which is consistently the most-watched evening show on Fridays. It’s understood Kiwi Living has been modelled on Australia’s Friday night series The Living Room, which launched in 2012 and became a surprise success for Channel 10. This is an interesting development and exciting for local TV production. While this appears to be a far safer choice than Jono and Ben, if there’s one thing that can be said about TVNZ, it is that they know their audience. Think Seven Sharp with (even) less news. It’s not the same genre so I’d hardly call that “head-to-head”. The carbon copy of Seven Sharp replacing Campbell Live – now that’s a fight, which TV3 will undoubtedly lose. Jono and Ben have nothing to worry about.